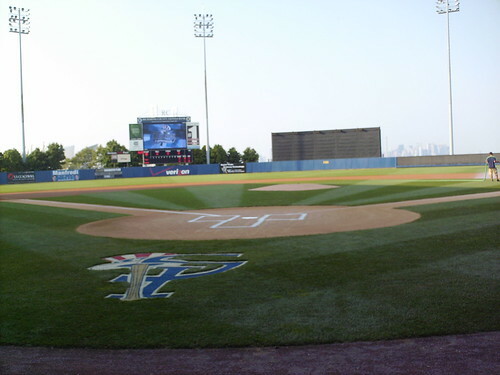 The view from behind home plate at Richmond County Bank Ballpark. 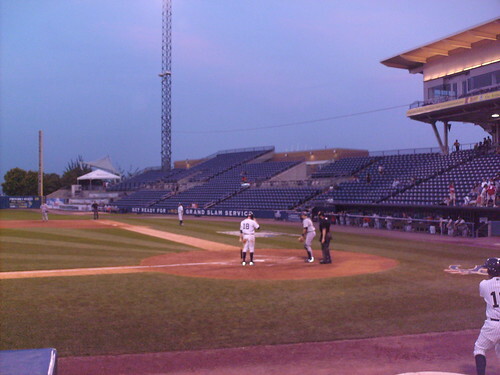 The grandstand, pressbox and luxury suites, as seen from the picnic area down the first base line. The view from down the first base line. 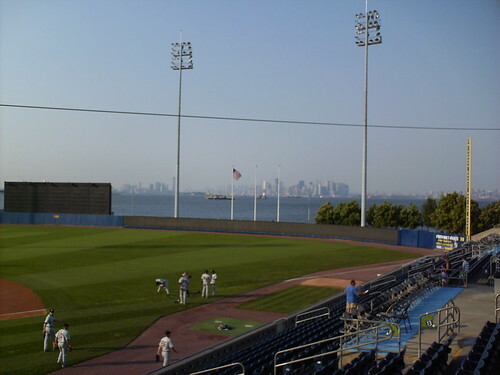 The scoreboard features a replica of the Verazzano-Narrows Bridge. The view from down the third base line. 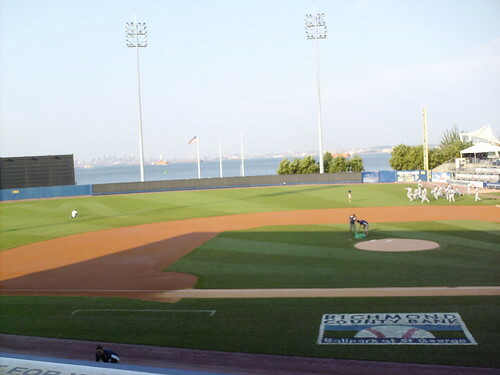 The Hudson River runs directly behind the outfield fence. 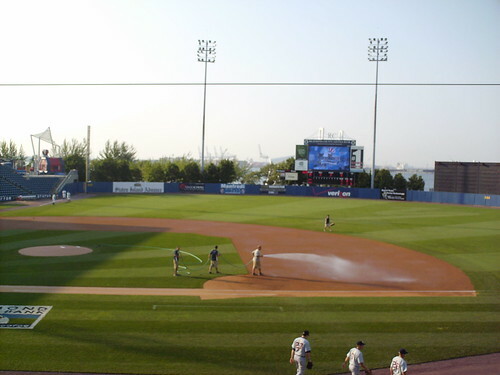 The Manhattan Skyline, New York Harbor, and the Statue of Liberty provide the backdrop for a game at Richmond County Bank Ballpark. 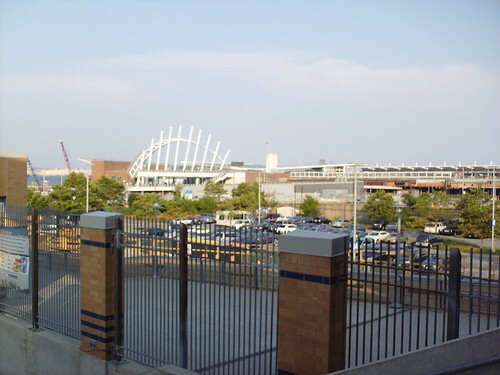 The Staten Island Ferry terminal, as seen from inside the park. 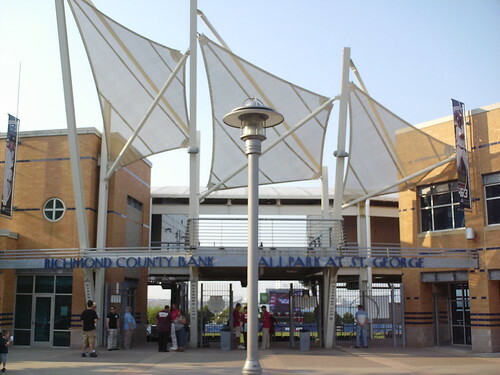 The architecture of the ferry terminal inspired much of the architecture at the park. 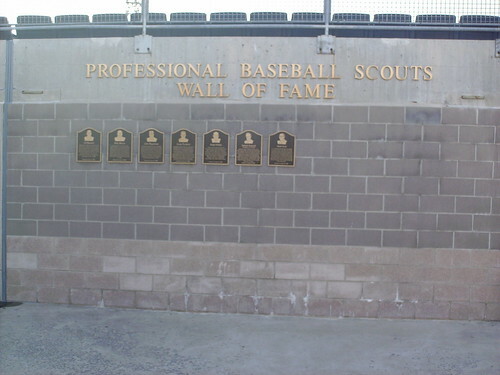 The Professional Baseball Scouts Wall of Fame behind the first base concourse. 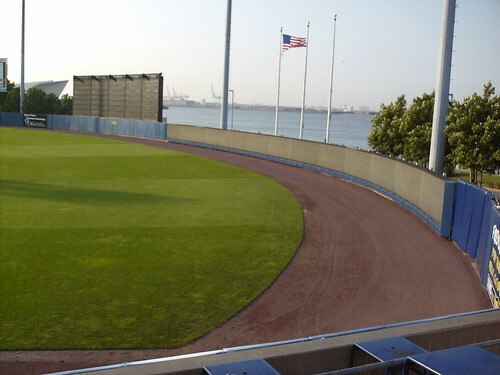 The fairly uniform outfield wall at and center field batters eye. 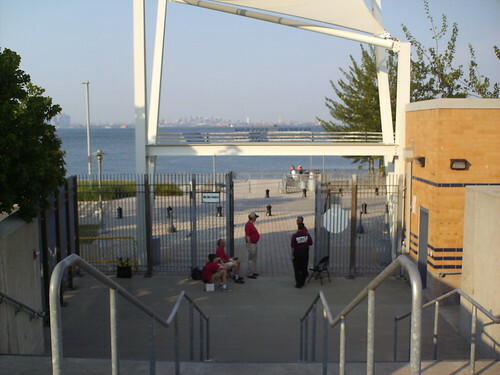 The back entrance to the ballpark opens directly onto a boardwalk on the river. 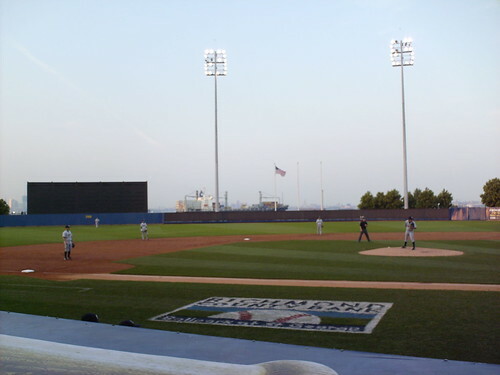 Cargo ships pass by the outfield wall during the course of a game. 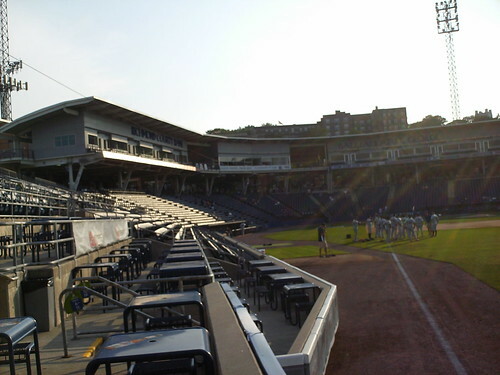 The center section of the right field bleachers extends up, bridging over the concourse and connecting to the roof of the concessions building.